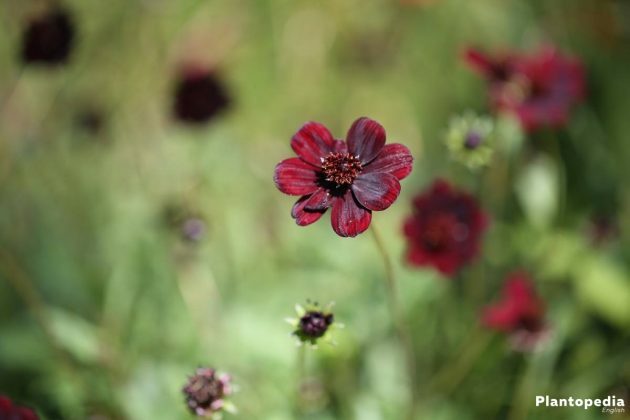 The Cosmos atrosanguineus (Chocolate cosmos) emits a seductive scent of chocolate and with its dark red blossoms, it steals the show from the classic shrubs. 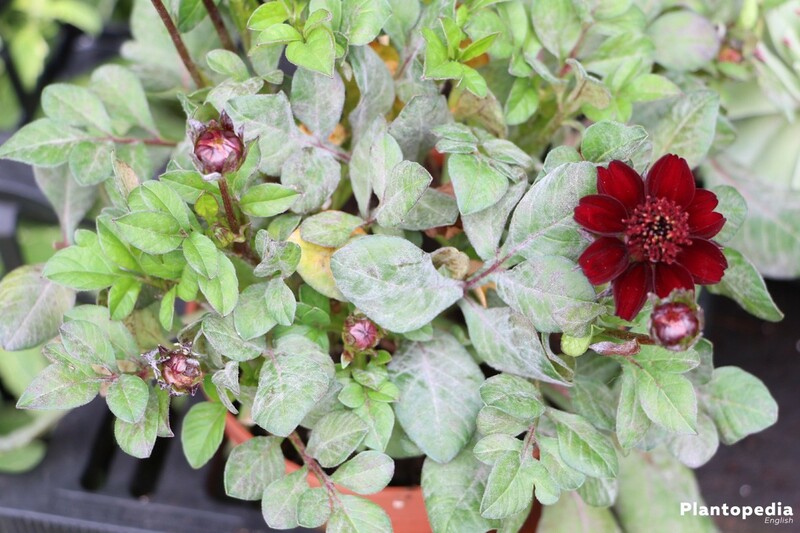 Although this floral beauty is not perfectly winterproof, it still has the vitality to be cultivated for several years. Irrespective of its status as a rarity, the Mexican chocolate cosmos is quite undemanding. These care instructions will show you how to do it right. 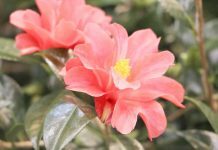 In free nature, the flower is considered extinct since 1902. 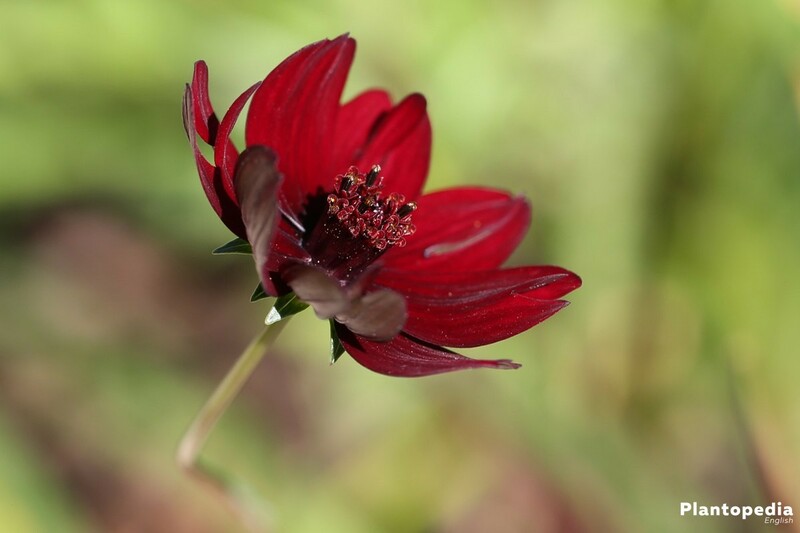 All the cultivated chocolate cosmos flowers come from a single clone. Because of its sterility, the plant does not develop seeds, so it can only be propagated vegetatively. To avoid the loss of the unique genetic material, the meristem (formative tissue) is safely stored in liquid nitrogen at the Royal Botanic Gardens in London. 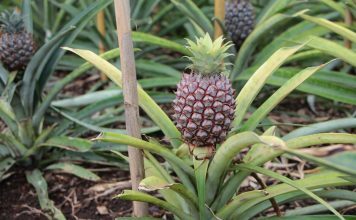 After the two scientists Russel Poulter and Keith Hammet discovered fertile specimens in New Zealand in 2010, we can be curious about whether seed will be available again in the near future. In the summer garden this flower is a benefit for the senses. 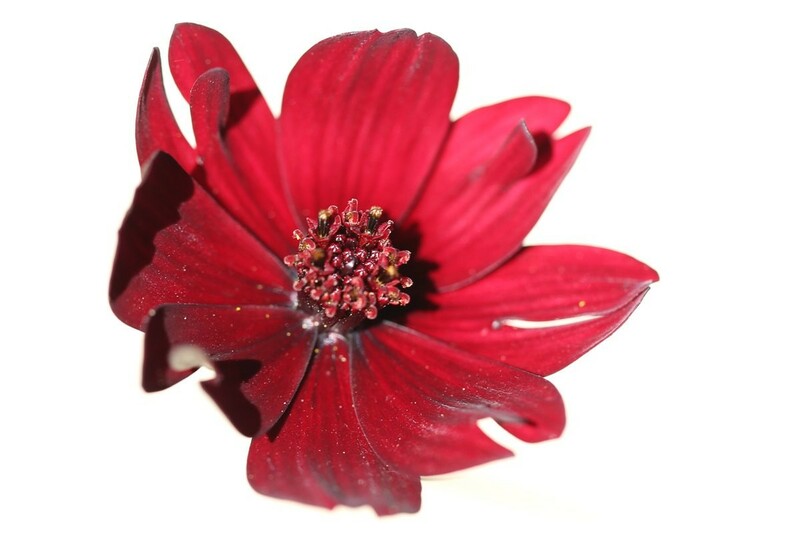 The dark red velvet flowers of a Cosmos atrosanguineus exude a tempting smell of chocolate. 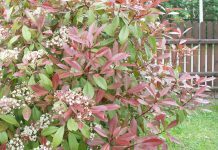 Striking, deciduous leaflets complete the picturesque appearance, when this floral rarity is presented in a bed or in a tub. 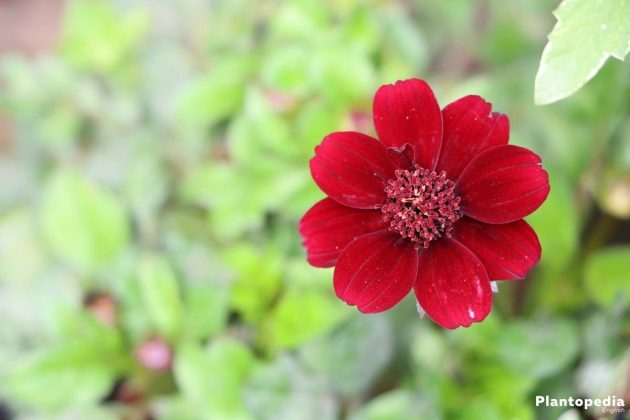 Because it’s origin is in the warm regions of Mexico, a chocolate cosmos is lacking complete winter hardiness. 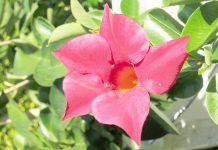 Anyone who is familiar with the exotic beauty can nevertheless grow it for several years. 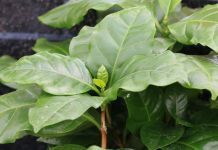 This care guide covers all the details concerning the cultivation of this unique tubing flower. Behind this extraordinary history a surprisingly unpretentious summer flower appears. As the following care guide shows, the chocolate cosmos’ wishes for an appropriate cultivation can easily be fulfilled. In a sunny, warm and wind-protected location, the chocolate cosmos reaches its optimum. 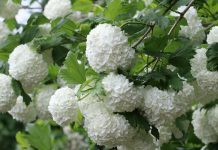 This applies to both the blossom and the seductive fragrance. A place in the semi-shade is tolerated, but results in a less opulent appearance. Avoid a place that is prone to waterlogging. If the tubers reach the water even for a short time, you’ll wait for the beautiful scented flowers in vain. 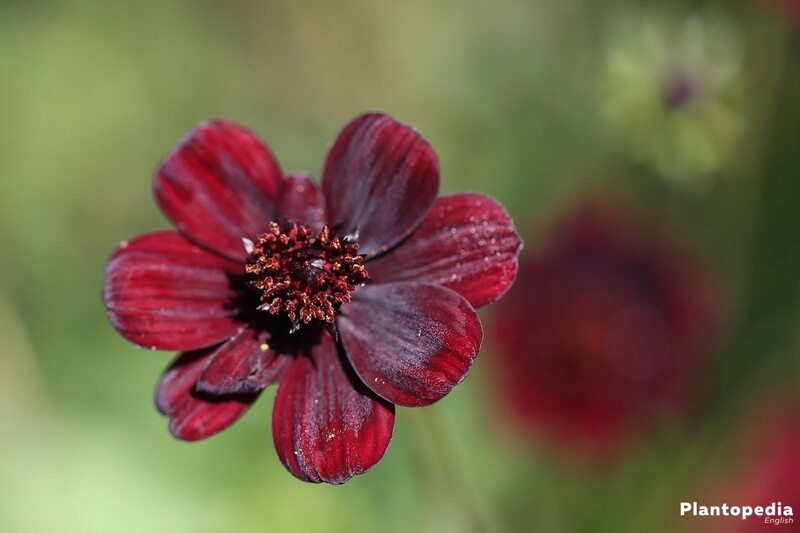 Therefore a chocolate cosmos can’t be used as a decorating flower for a pond or stream. Taking into consideration the lack of hardiness, gardeners mainly favour the cultivation in a bucket for a Cosmos atrosanguineus. 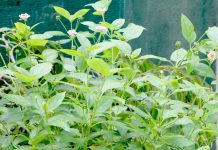 The tubers of the noble flower get excellent living conditions if you choose a high quality flower soil. Look out for quality products such as the standard soil CL Classic Perl. Components such as natural clay, coconut fibers, white peat and perlite will guarantee structural stability and excellent air circulation. If you don’t want to use peat for environmental reasons, the peat-free variant CL Classic T, based on natural clay, bark humus, wood fibers and coco peat is a good alternative. Do not expose the cold-sensitive tubers to the soil until you can be sure that no ground frost will occur anymore. The period starting in the middle of May, when the Ice Saints are over, will be just perfect. 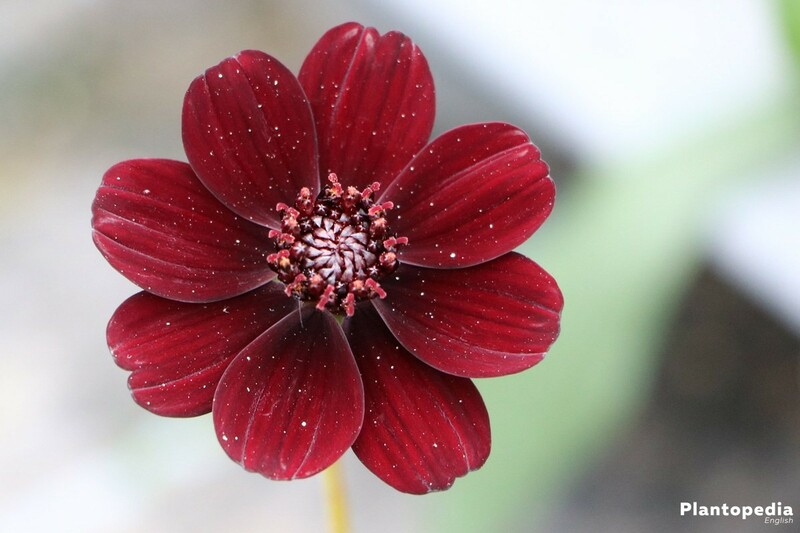 If you plant in it a pot, it can already be done in April if it is ensured that your chocolate cosmos can spend the cool nights behind glass. 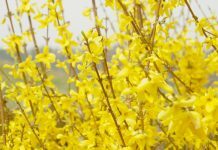 With a professional ground preparation, you set the course for a flower-rich season. You should carefully rake the spot where you intend to plant the flower to remove the weeds, roots and stones. If in doubt, give some handful of quartz sand to the soil for best permeability. Press the soil with your hands. 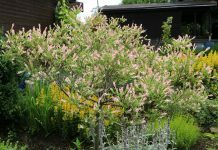 The planting in the bed is rounded off with a well-proportioned dose of soft pouring water. In the pot and balcony box the planting of a chocolate cosmos is similar to the planting in the bed. In this case, a few pieces of clay are used as a drainage above the bottom opening. 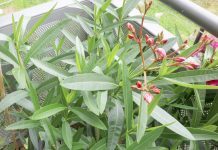 Insert an air- and water-permeable fleece between the drainage and the substrate so that the inorganic material does not become sludgy. A 2 cm high pouring edge prevents the water-soil mixture from overflowing in the further course of maintenance. A water supply on a moderate level meets the wishes of the chocolate cosmos. Do not pour the plant until the substrate surface has dried 2-3 cm deep. A short thumb test ensures that there is actually a requirement for watering. Gently supply soft water from the watering can right to the roots. Please allow the water to run slowly, so you can stop in time when no more moisture is absorbed. The pot coaster is poured out after 10-15 minutes, so that no waterlogging can develop. From the end of August / beginning of September, you must not give any more fertilizer to the chocolate cosmos, to make sure it can mature in time for the winter rest. 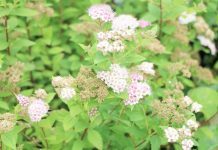 You should continuously cut off faded flower heads to make room for a reflowering. 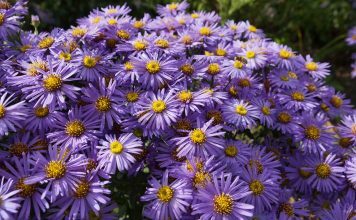 Your care will be rewarded with a long lasting flowering and a neat appearance until the first frost. Shortly before the wintering period you should not cut off the leaves and shoots until they have completely retracted. Until then, the rhizome stores the remaining nutrients and creates a depot for the next season. To enjoy the beauty of a chocolate cosmos as a vase decoration, cut off the most beautiful flower buds 2-3 cm above the ground. The best time to do so is in the early morning hours when the dew has evaporated. During the winter rest, the rhizomes are turned around every 1-2 weeks and on this occasion you should examine them for pests and putrefaction. 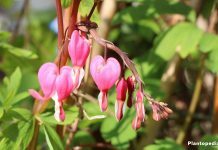 In order to prepare the chocolate cosmos to the new garden season, put the tubers into pots with fresh substrate in March. 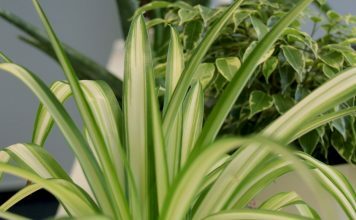 In a bright window place at cool temperatures you should carefully start to pour the plants. By mid-May, when the open-air season begins, you have finished acclimating the exotic winter guests step by step to sunny light conditions and warm temperatures. After the successful wintering, the offspring of further specimens can be done by the division of the rhizome. Place the tuber on a firm base. Using a sharp, disinfected knife you should cut the fleshy root into several segments. 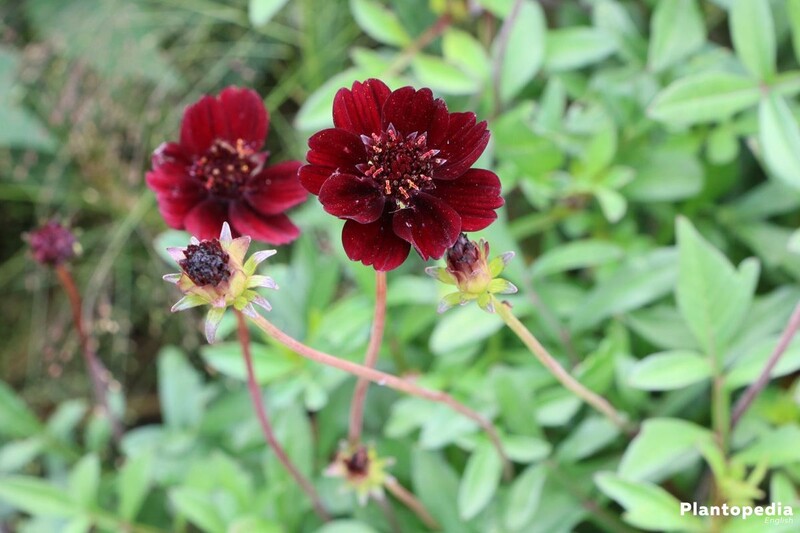 Each part with 2 or more buds has the potential to become an adult chocolate cosmos. The cuts are dusted with wood charcoal powder to prevent viruses, spores and bacteria of infecting the plants. In February, when the winter rest is about to end, it’s the right time for the multiplication of the cuttings. Choose a healthy, strong tuber. 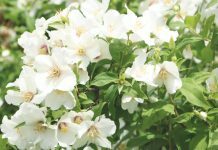 Plant it only a few centimeters deep into a pot with a permeable mix of flower soil and quartz sand. 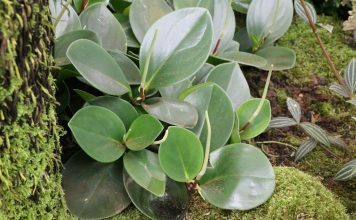 In a half-shady location, you must keep your cuttings constantly moist, at ideal temperatures of 20 to 22 degrees Celsius. When a fresh shoot forms underground rooting, the cover can be removed. 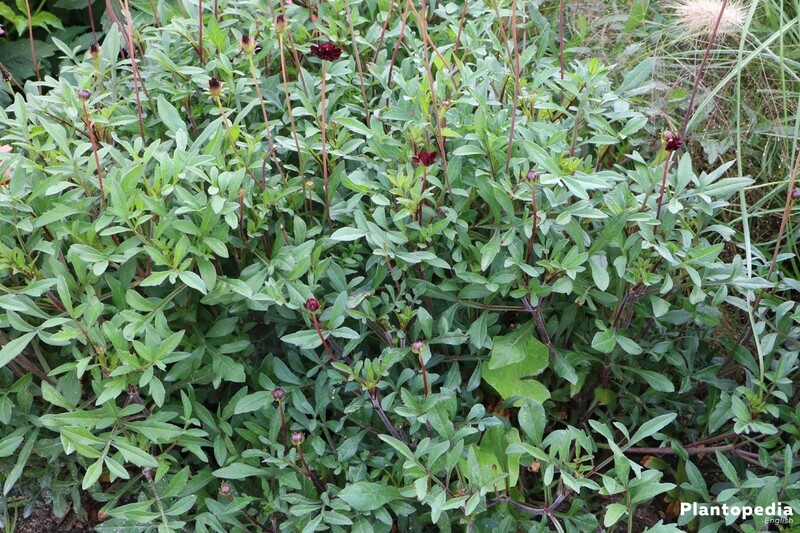 Now you should maintain the young Cosmos atrosanguineus at cooler 16 to 18 degrees Celsius, until the planting time begins in May. 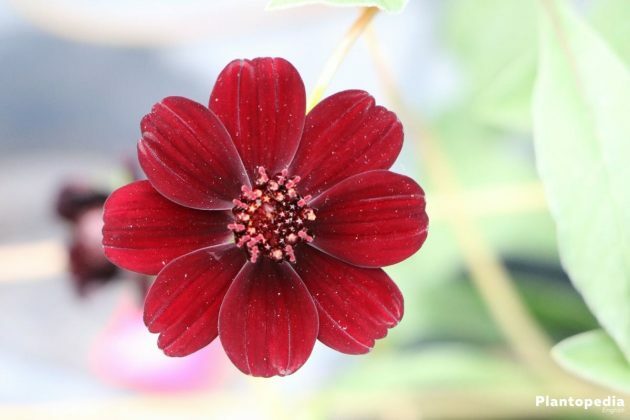 A well-maintained chocolate cosmos is largely immune to diseases. Under unfavourable weather conditions, which are accompanied by permanently moist leaves, the fungal infection mildew can become a health problem. Therefore, you should regularly inspect the top and bottom of the leaves. If a greyish-white, mealyous coating spreads out, there is an urgent need for action. First cut off the infected parts of the plant and dispose of them in the household waste. Then mix lime-free water with fresh milk in a ratio of 9:1. This mixture is sprayed every 2-3 days on the affected flower until the symptoms won’t appear anymore. 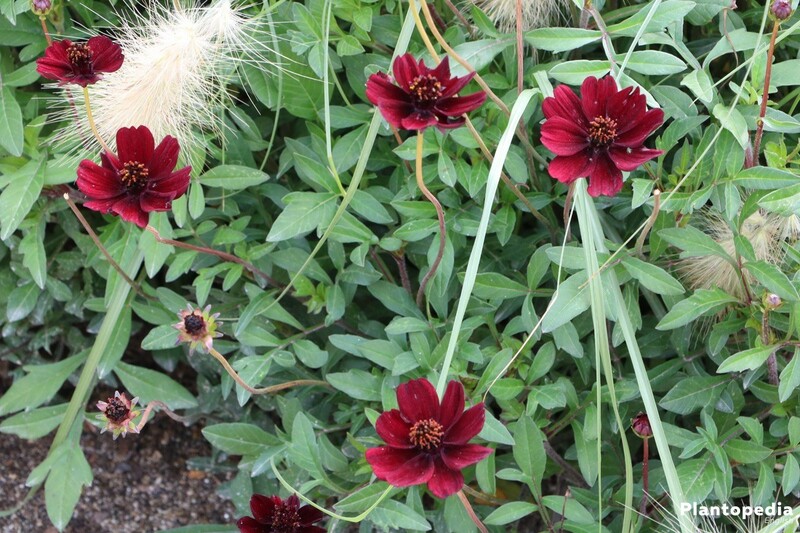 As a tuber plant, the chocolate cosmos is the top spot on the menu for voles. In a bed culture, you will effectively prevent the voracious pests by planting the rhizomes into a vole basket. This is a wire mesh, which you should place into the plant pit at first. Only after you’ve done that you can fill in the drainage and the substrate. The aphids which are omnipresent in the garden do not spare a Cosmos atrosanguineus. As soon as you discover the tiny lice on the leaves, the soap solution is the best known control. To 1 liter of soft water, you should add 1 tablespoon of pure curd soap and a few drops of alcohol. 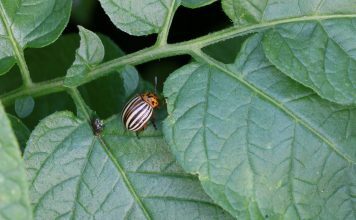 Spray the top and bottom of the leaves at intervals of 2-3 days until no more pests are found.